A Leading authority on typography; its styles, trends and influences, Baseline combines the very latest in typography with the influences and styles which have coloured the industry through the years. We assess typography on a truly global scale and studying its effects against the backdrop of the demands of the design fraternity. This issue mixes the contemporary with the traditionalist nature of typography with a series of thought provoking articles. The first true commercial artist, A.M.Cassandre became one of the 20th century’s most influential forces in poster design. Less well known for his type design, we examine three of his most famous typefaces developed against the background of his graphics successes. 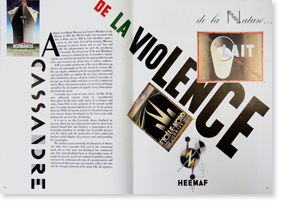 A revolutionary in the best graphic traditions, Cassandre’s contribution to an embryonic industry verges on the legendary. Neville Brody is a legend in his own lifetime and he’s only 31 years old! 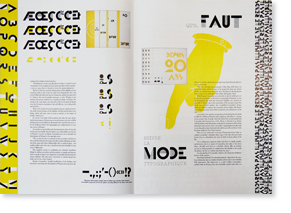 His radical approach to typography had led a generation of designers to re-evaluate typographical principles. Baseline interviews Brody at a time of torment and self doubt: he’s in danger of becoming a leading light in establishment graphics! 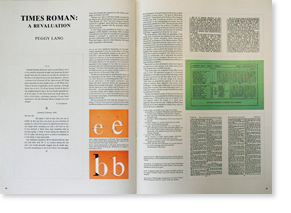 Times New Roman was developed in 1932 and is now established as one of the most widely used text faces. Baseline looks as its ‘raison d’être’ with a fascinating review written just 13 years after its launch. Nobuo Morisawa invented the first Kanji phototypesetting machine back in 1924. 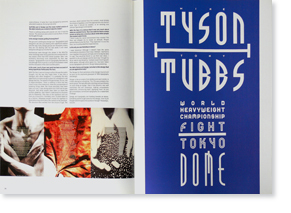 Now he runs a major typesetting manufacturing company and is patron of the Morisawa Typographic Awards. In our review of the awards Colin Brignall, Director of Typography at Letraset, comments on the material and Mike Daines reflects on the whole idea of typographic competitions. 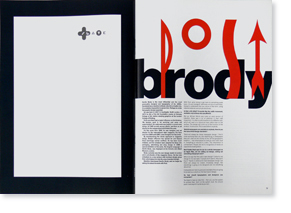 Continuing the theme, the Type Directors Club of New York annual competition has been running for 34 years. 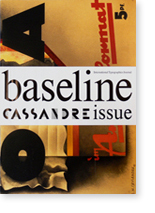 Baseline reviews the latest offerings. 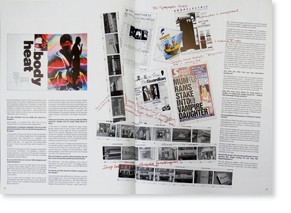 Jeremy Leslie is Art Director of Blitz magazine, one of the leading ‘style’ magazines of the mid 1980s and now firmly established in bookstalls around the world. Baseline talks to Leslie about the Blitz typographic style. Breaking the fundamental rules of typography can invoke high drama on the page which sometimes verges on tragedy. Linda Reynolds gets back to basics with a blow by blow account of typographical do’s and don’ts. In the ‘New York’ section we take a look at some interesting contributions from professional and student typographers and designers. Paul Smith, a London fashion designer, has always had a penchant for type and in our series ‘Desert Island Type’ we look at Paul’s favourite typographic ephemera. Mike Daines reviews a series of typographical books, which we think you’ll find interesting and on the ‘Back Page’ Mike fills you in on Baseline’s history. The mixture of highly contemporary, often controversial typography with traditional typographical values in Baseline 10 is designed to cause comment and debate. 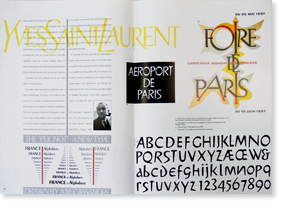 The study of typography is the study of a gradual evolution of style. The interruption of that evolution can result in a transient subversion of the norm, which in turn adds to the evolutionary process. Baseline aims to study all the processes involved in Typography today to prove that typography is very much alive and sometimes kicking. 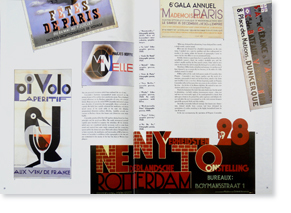 Neville Brody is the most influential and the most provocative designer and typographer of the 1980s. Everybody has a reaction to Brody. Like him or loathe him, it’s certainly impossible to ignore him. Perhaps he is the first graphic design superstar. Times New Roman first appeared in The Times newspaper on October the 3rd 1932. 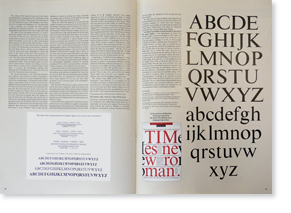 ©1988 Published by Esselte Letraset Ltd.